We adopt full-automatic dust-free workshop, advanced and complete manufacturing facilities, have strong technical force, many engineers who are professional in mould design and CNC programming, and highly experienced technical teams. 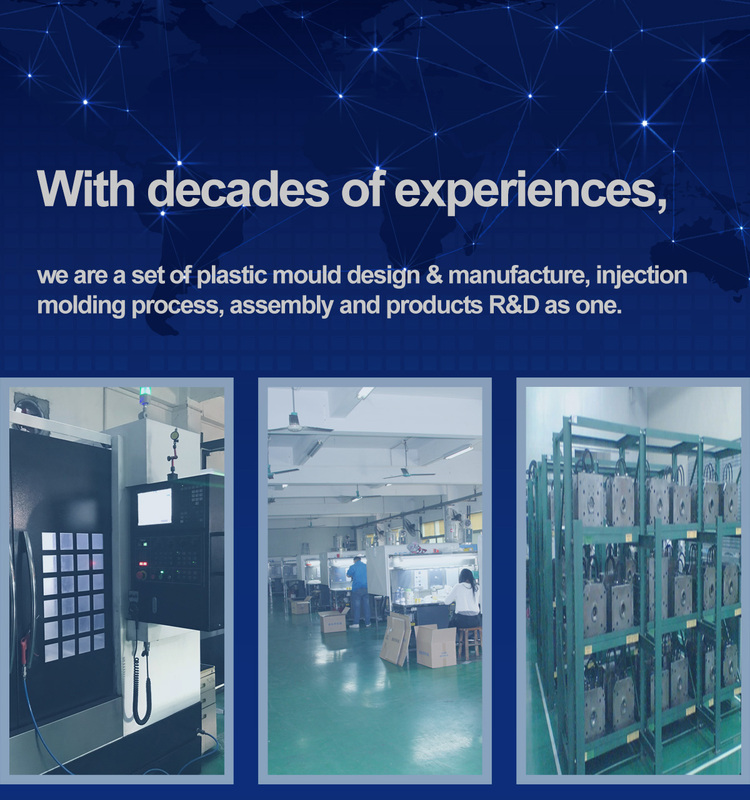 Dongguan Shengwei Plastic Products Co.,Ltd is a private high-tech enterprises, who is a set of plastic mould design and manufacture, injection molding, assembly, products R&D and sales as one. The company is located in Humen Town, Dongguan, China, where enjoys the convenient transportation conditions and advanced manufacturing bases. After development for over a decade, the company has adopted full-automatic dust-free workshop, advanced and complete manufacturing facilities, has strong technical force, many engineers who are professional in mold design and CNC programming, and highly experienced technical team that professional in mold making, wire-electrode cutting, electrical-discharge machining and polishing. The whole factory covers an area of about ten thousand square meters, and has passed the SGS and ISO9001 certification. The company manufacture molds and products that contains auto parts, home applications, medical products, commodities, consumer electronics, mobile phone parts and accessories, and many other kinds of molds in different fields. We are highly experienced on the technology of processing multi-cavity mould, hot runner mould, precision mould, mirror mould, deep cavity mould, gas-assisted injection molding mould, and follow-up processing of injection molding. (1)CAD/CAM/CAE design and processing integration system, high speed and high-precision machining CNC EDM W/C equipment and technology. Designing 3D appearance, making prototype model, making plastic mould and hardware mould, plastic injection molding, surface spraying, finished-products assembling and testing. (2)According to customers' 2D or 3D drawing, processing to making mould, injection molding, spray painting, silk-screen printing, transfer printing, other surface treatment until assembly. (3)According to customers' sample, making reverse engineering design. (4)The factory has high precision injection molding machines with various tonnage, and can provides dual material hybrid injection molding, metal combine injection molding, hot runner injection molding, 0.5mm thin-wall forming technology, carbon fiber conductive material injection molding. 2 coatings / 2 baking, ten thousand rank automatic dust-free spraying production line, primer/UV one time mixed coating technology. IMD(IML/IMF/IMR) in-mold decoration technology. Our customers located all over the world, such as China, US, Canada, Mexico, Brazil, UK, France, Germany, Russia, Singapore, Japan and many other countries. We always insist our policy of "Efficiency First, Quality First, Customer First", adhering our management idea of "Honesty and Responsibility", growing up and build a wonderful future with customers together.